Babies and their loved ones talk to each other in all kinds of ways, including using their voices and using touch. Black illustrations against a white background. 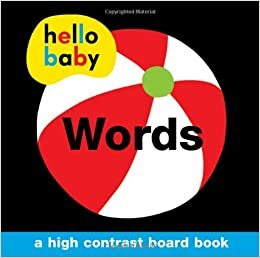 From a bright yellow sun to a juicy red strawberry, the high-contrast pictures in this board book will captivate babies. Introduces young readers to ten little bugs, including a ladybug, grasshopper, and butterfly. 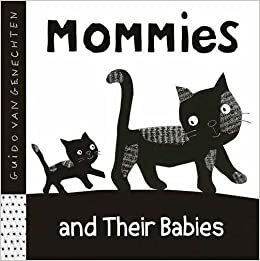 A baby looks outside the window and sees all sorts of interesting things, in a book with high-contrast black-and-white illustrations. 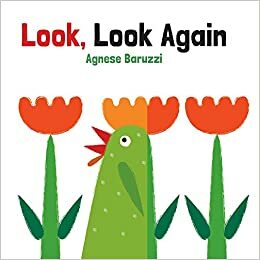 Each page shows one shape, and then unfolds to reveal an ingenious surprise, sure to captivate curious toddlers. Animal babies have a mommy, just like you. 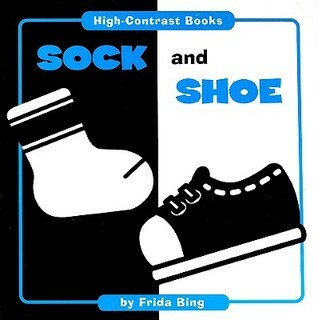 Book of recognizable, high-contrast black and white images and patterns to aid visual development in the early stages. Photographs of common objects with the color of each object printed below introduce the reader to colors. 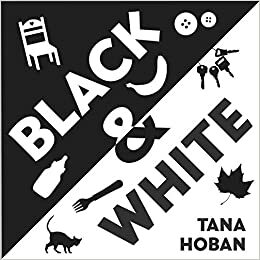 This book uses familiar settings and objects to present shapes and patterns in contrasting black and white images.